The number of drones designed to land and take off on water is still small, but the number is slowly growing. We believe most well-known consumer drone manufactures will have their own floating drones in the near future. The benefits of having a drone that can float are obvious, the main reason being that it allows you to land on rivers, lakes and oceans — on purpose, or in an emergency! As floating drones become more popular, we recommend you check whether the drone is capable on landing and taking off from the water, or if the drone is only capable of landing on the water. You wouldn’t want to land the drone in the middle of a lake and find out it isn’t able to take off again! 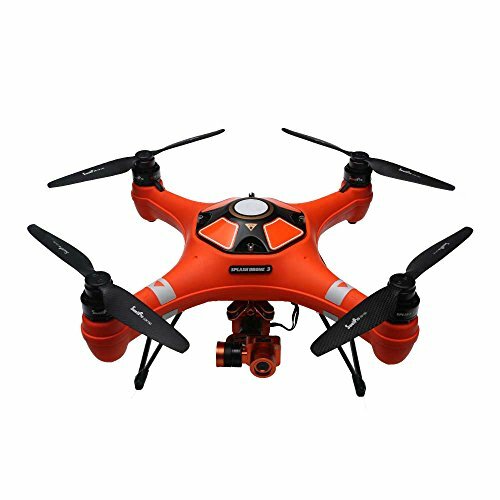 The Q353 Triphibian is the most budget friendly drone on our list. It features air, ground, and water modes. The orange casing and the continuous flashing LED lights provides better visibility of the drone in low light settings. If the drone becomes submerged or has flipped upside down in the water, it will roll itself the right way up! With a 1200mAh battery, flight time is about 7 – 10 minutes on a full charge. The Splash Drone 3 Auto is the most advanced Splash drone ever released. The Splash Drone 3 Auto allows you to operate in all weather conditions, in tough environments – whether it’s over land or sea. 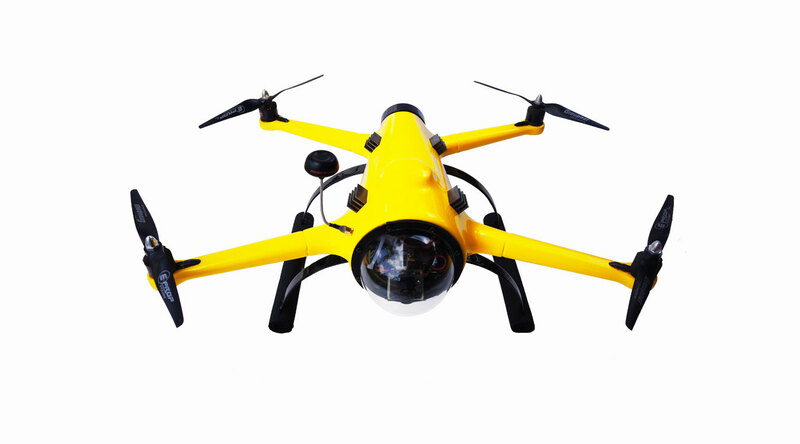 With its advanced modular design, Splash Drone 3 can quickly adapt to all types of missions, from aerial filming, to search and rescue on the water, or for ocean survey work, fishing and many other applications. The fully waterproof 4k camera with integrated 2 axis gimbal provides you the unique ability to capture smooth, stable videos and pictures while flying in the sky or under the water surface. 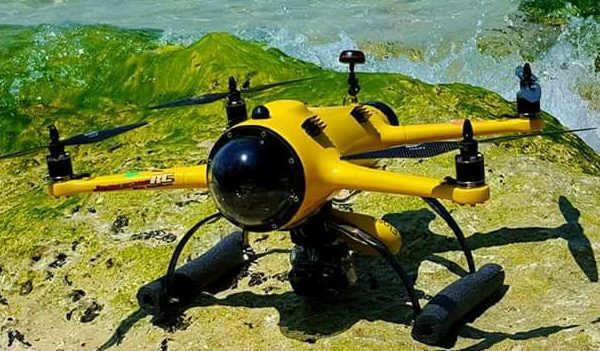 The QuadH20 drone is very popular with drone pilots that are capturing professional images and videos of water sports such as surfing and jet skiing. 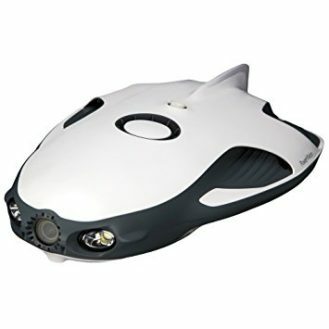 The QuadH20 features a watertight body made from Epoxy fiber composite. The landing gear is also made from a blend of Epoxy carbon and fiber composite. The drones battery cap and viewing dome are created from high quality stainless steel clasps. 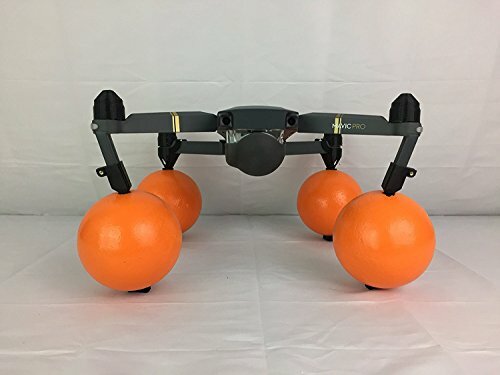 The best thing about the drone’s outer design is that its landing gear is widely placed to keep the drone away from the camera’s view. As such, you will get clear and uninterrupted shots. Availability: Available to buy directly from the manufacture. 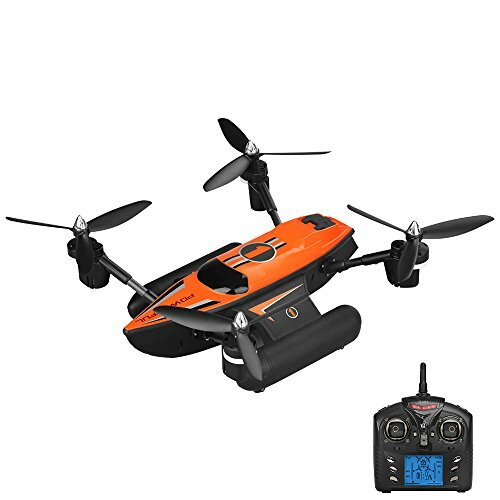 If you already own drone and you would like it to land and take off on water. 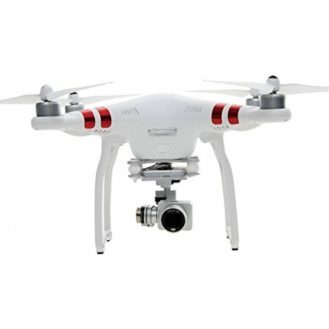 There are third party attachments available for the popular models of drones. 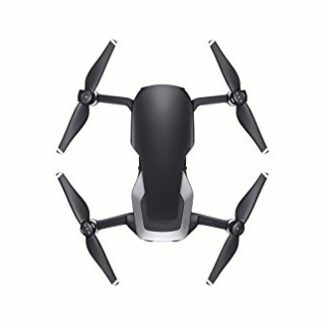 Here is one for the DJI Mavic Pro that’s available to buy on Amazon.